Indigenous activists: ‘Sorry’ not enough, compensation now! In the lead up to the February 12 Indigenous rights convergence in Canberra, Green Left Weekly gathered statements from Indigenous activists around Australia. 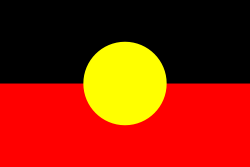 At the fore of people’s minds was the Northern Territory intervention, PM Kevin Rudd’s scheduled apology to the Stolen Generations and the issue of compensating those affected by that policy. “Kevin Rudd has said his apology will contain an affirmation never to repeat past wrongs, but this is precisely what his government is doing rolling out Howard’s intervention. He is continuing the genocidal policy of the Stolen Generations and the Howard years. “The Rudd government claims to have exhausted consultation over the apology [which] really means Aboriginal people were told there would not be compensation and the final wording was entirely up to the government. It wasn’t negotiation: it was the Government telling people what was to happen. “When the apology is given, it is widely believed there will not be a reference to genocide and there will be a lot of emphasis on the good intentions of administrators, officials and missionaries. “It is more likely to look like an apology to those who did the moving than those removed. “It is a pity the Coalition could not come to terms with history. To argue ’stolen’ should not be used indicates a shallow understanding of historical fact. Should we say the children were ’borrowed’ instead of stolen? “I think that the proposed review of the intervention should be brought forward. While members of the task force have been at pains to convince us that the intervention has been a success, they cannot provide any evidence to prove that the intervention is producing positive outcomes. Only a rigorous and independent evaluation can do this. “The government must commit itself to a dialogue with Indigenous people about the issue of compensation. In a society where we have a third party insurance scheme for victims of motor vehicle accidents and criminal injuries compensation schemes, the issue of compensation is hardly controversial. Furthermore, it is inhumane to force individuals who have already suffered great pain to endure the rigors of court processes. “Howard’s core strategy for the NT intervention was to suspend the NT Land Rights legislation and gain control of the land. At the same time as soldiers and tanks were moving in, the legislation was suspended for five years. Meanwhile, Australia was pushing the export of uranium — around 75% of which is in the NT. “The Rudd government has been in power [for] three months, and the intervention is still in place. [Indigenous affairs minister] Jenny Macklin met with Queensland= premier Anna Bligh to discuss extending the intervention to Queensland. The Queensland Aboriginal leadership have a message to Bligh and Macklin: don’t even think it, don’t even try it — or there will be blood on the streets. “When Rudd apologises, he must lay out pathways for stolen generation peoples to receive adequate compensation. The Canadian government has allocated [funds] for the victims of the Residential Homes era — the Canadian version of the Stolen Generations. Tasmania and Victoria [have] offered significant sums of money to Stolen Generations victims as compensation. A key recommendation of the Bringing Them Home report was that compensation must be paid. In this day and age, it is basic justice that victims of violent crimes receive compensation through the courts. This entry was posted on 16. Februar 2008 um 10:00 am	and is filed under Australien, Indigena-Bewegung, Kolonialismus, Menschenrechte - Freiheitsrechte, Rassismus, Repression. You can follow any responses to this entry through the RSS 2.0 feed. You can leave a response, oder trackback from your own site.